Saying thanks adds up. 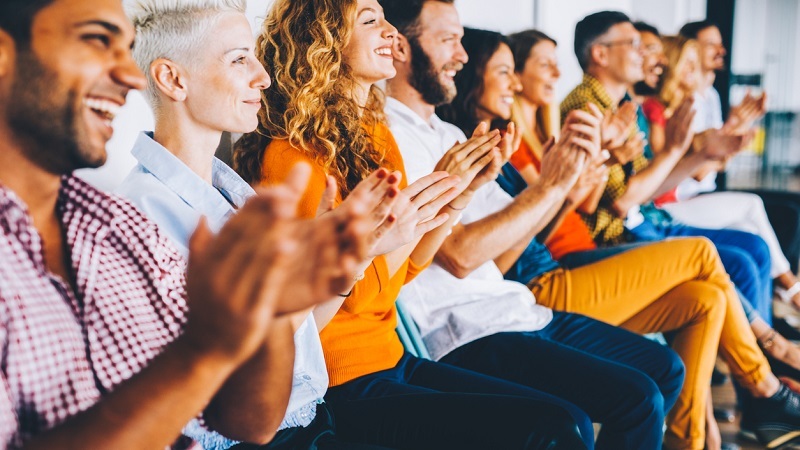 Last year, Asurion made it easy for employees to recognize one another for driving results, living the company’s Leadership Principles, or just brightening a colleague’s day. This (literal) investment in Asurion employees is not unusual. Awards and recognition are a lively and spirited part of Asurion culture. Our call centers buzz with friendly metrics-driven competitions and employees are consistently recognizing and nominating their colleagues for financial-based awards. With nearly 1,000 annual, quarterly, monthly, and on-the-spot awards available across the company, Asurion makes one thing clear to its employees: We see you, we value you, and we want you to succeed. So, how exactly does Asurion create the culture of gratitude? One way is through the company’s financial and social recognition program, Appreciate, Celebrate, and Engage (a.k.a ACE). Launched last year, ACE is a peer-to-peer recognition program that enables employees to recognize great work within the framework of Asurion’s Leadership Principles. Did a colleague go above and beyond for you? Did a team roll out an amazing new initiative before the deadline? Give them ACE points or recognize them with a public, social “thank you.” ACE points carry a monetary value and can be redeemed in an online catalog for anything from movie tickets to MacBooks to cash. Since ACE was implemented, over 250,000 recognitions have been made across the globe. 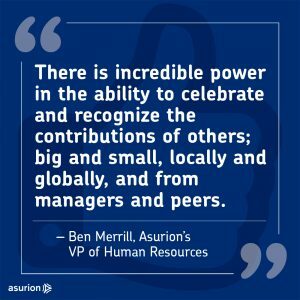 By setting the foundation for employees to actively acknowledge one another, Asurion has built a culture rooted in collaboration.